With the recent deep freeze and snowstorms that have hit us here in Port Credit and across Mississauga, there’s no doubt that many of us have had to brave the cold and shovel the snow. 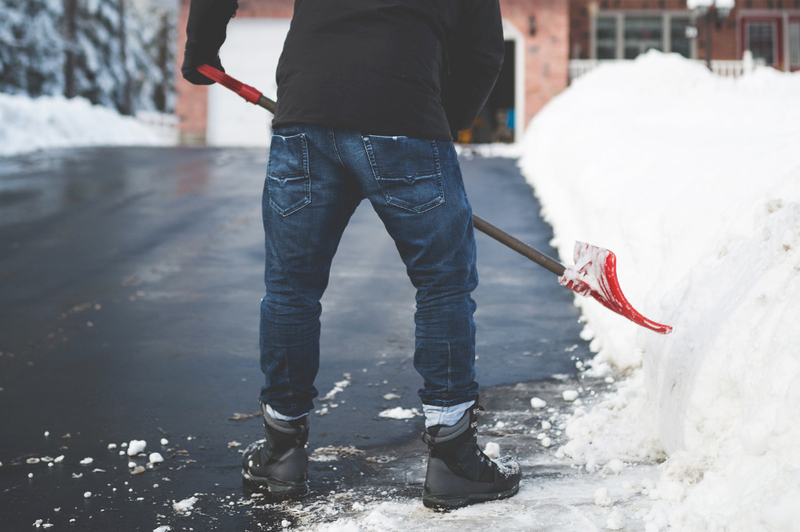 While shoveling snow offers the benefit of physical activity and exercise, it can commonly cause muscle aches and low back pain. Acute, or short, episodes of muscle ache and low back pain that occur a few days after shoveling snow can be common. However, if your back pain persists, even after rest and attempted recovery, you should contact your doctor. Often times, they will refer you to a physiotherapist who can address your muscle strains, help strengthen and stretch your muscles, and offer you guidance on how to approach physical activity (including snow shoveling) while minimizing your risk of strains and injury. We’re looking ahead to spring and sunnier days, but we also would like to share some tips for protecting your back if there are still snowy days to come. Before heading outside, stretch and warm up your muscles, especially your lower back muscles and hamstrings. Cold muscles are more susceptible to strains and injury. Use proper shoveling technique and shovel snow in small, manageable increments. Remember to bend at your hips and knees, and try to keep your spine straight. Avoid twisting and throwing snow over your shoulder. Take frequent breaks and rest when needed. Remember to stay hydrated. If you have any heart or blood pressure conditions, or are susceptible to low back pain, it is inadvisable for you to shovel snow. If you are unsure whether or not you are fit to shovel snow, you should contact your doctor. If you are currently experiencing back pain or have had back pain in the past, whether from snow shoveling or from other causes, come talk to our team at Peak Form Physiotherapy. Together, we can address your issues and create a treatment plan to alleviate pain and reduce the risk of future occurrences of low back pain. Related post: What is causing my low back pain?